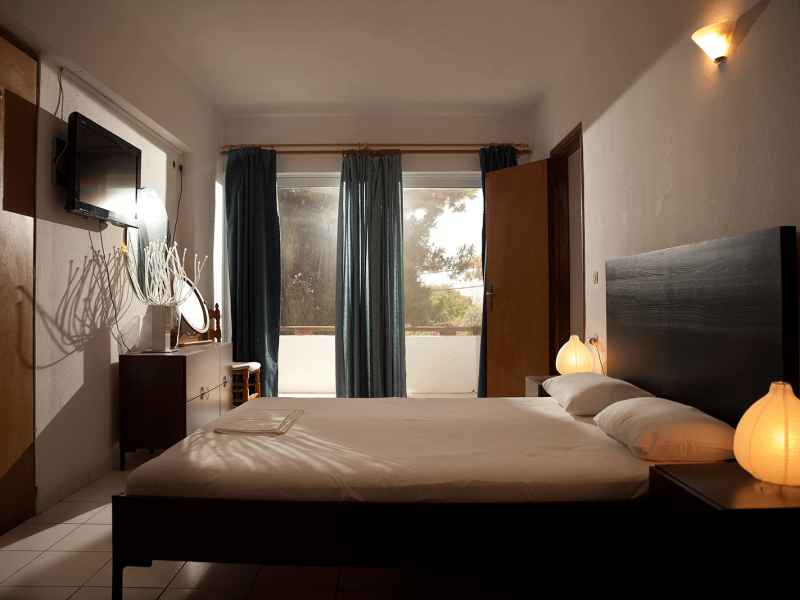 The Superior Suite consists of two rooms. The bed room has a king size bed and the living room has a full functional kitchen, a dinning table, and two sofas. The Junior Suite with king-sized bed can accommodate 2 adults. Located in the main building with terrace. The Standard Room, with king-size bed or twin bedded. 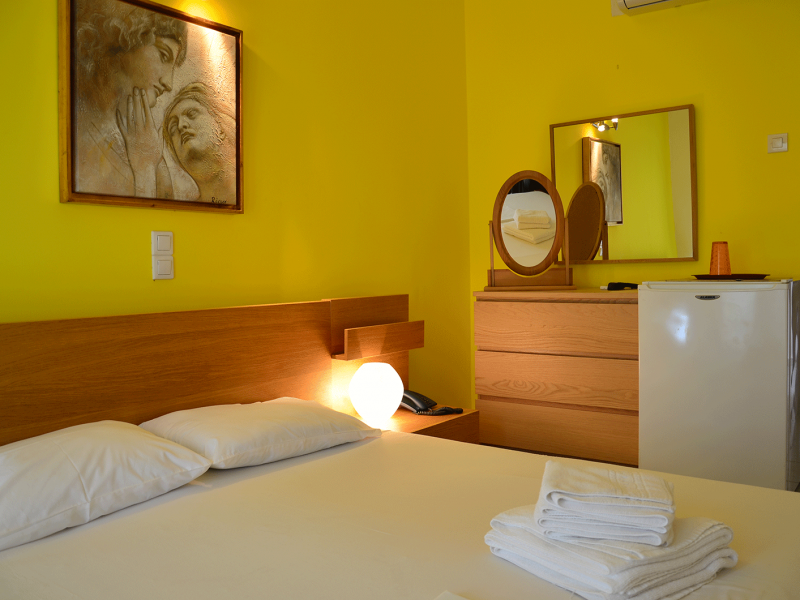 The Triple Rooms, with king-size bed and single bed. 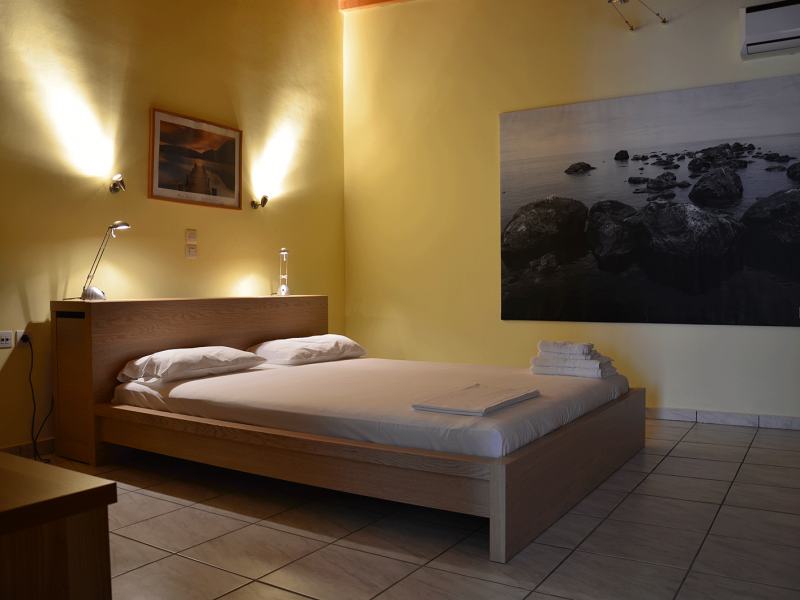 The Room for 4 persons, with king-size bed and twin bedded.